The sign-bearing wolf shall lead his troops, and surround Cornwall with his tail. The Wolf. Mighty canine, archtypal pack animal, both revered and feared by humans throughout the ages. Faol is the Gælic, the Welsh is Blaidd and there are countless other names in countless other languages. 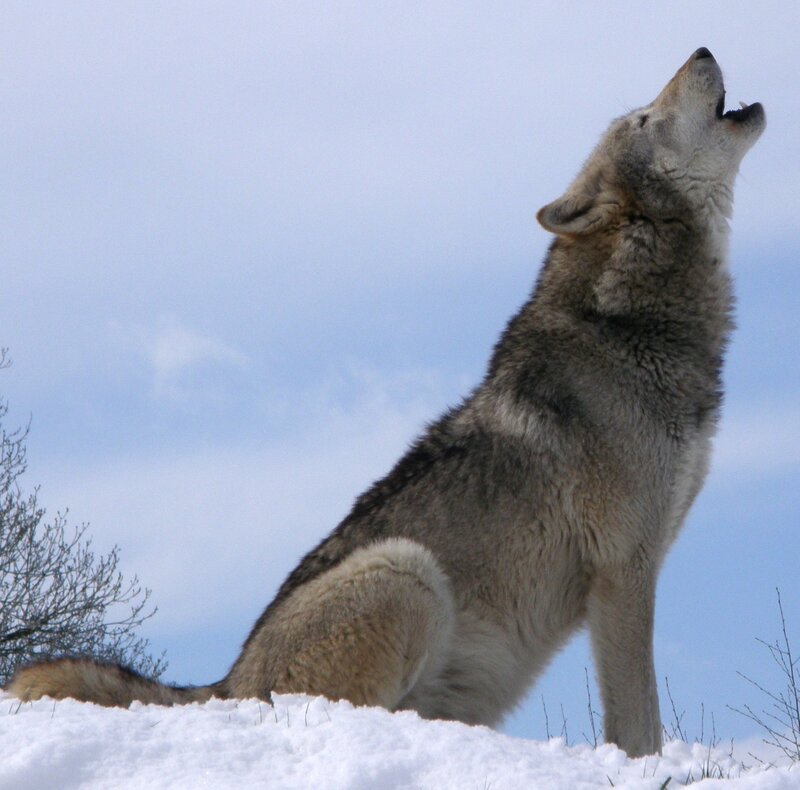 The Wolf represents a strong sense of faithfulness, intuition, inner strength and the ability to learn. When challenges face you and you find that you might have to go beyond “normal” behaviour & take risks in order to progress and learn – the mighty Faol can help. It can teach you about your own inner power and inner strength which often manifests itself when you are alone. In the darkest of wildernesses, the Wolf can help you find courage through spiritual companionship allowing you to discover your deepest self. Wolves are highly social intelligent and friendly – like most canines. They also embody a wildness not found in domesticated dogs although they are often valued for their affinities with humans. You, O wolf, dear companion, accustomed to roam with me through the secluded paths of the woods and meadows, now can scarcely get across the fields… You lived in these woods before I did and age has whitened your hairs first. For me, I have always had an affinity & connection to canines. Though I never had a dog when I was growing up in this lifetime (mainly because my father does not like dogs), there always seemed to be plenty of dogs in my life. Relatives and neighbours all seemed to have dogs as pets and I always connected with these canines on some level. However, the Wolf has always been an animal which has held a special place in my heart. I know that most people have a favourite animal – some might even say they have a Totem Animal – and for me Wolves qualify in this regard. I remember the first time I saw Wolves in the wild in this lifetime and the awe I felt at their majesty. My mother was driving my brother & I to a scout camp just east of Winnipeg. It was Winter and the roads weren’t the greatest. As we drove along the highway, I suddenly spotted three Wolves crossing the road about five hundred meters ahead of us. My mother slowed the car in order to avoid hitting them. I was mesmerized, I had seen Wolves in the Zoo before, but to see them roaming free in the wilderness was awesome. They had an air of majesty (as I said before) for it seemed they were untouchable and in command of the surrounding area. The forest seemed to be their Kingdom and they were its protectors. As we passed the point in the road where the three wolves had crossed, I looked into the trees where they had entered. One wolf, the largest of the three stood at the edge of the tree line looking back, watching our car pass. Our eyes seemed to meet and something passed between us – a certain recognition and understanding. And then the wolf turned and disappeared into the bush. I have spoken before of my otherworldly journeys in the form of a wolf and my Belief that in a past life I was privileged enough to have lived as a wolf on this Plane of Existence for a short time, as such I will not dwell on these things here. Suffice it to say that my connection to canines in general and wolves in particular is deeply rooted within my soul. It is just as much a part of me as my Celtic heritage which celebrates these majestic creatures. And so, I end this contemplation now in the hopes that you all might perhaps understand wolves a little better. As well, perhaps you might think about the special connections you might share with animals in your own life.